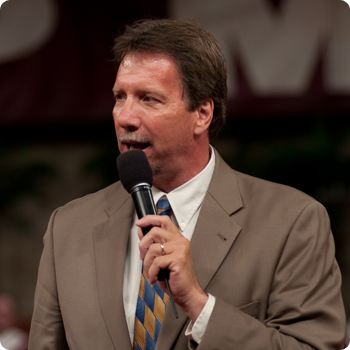 Reverend Loren Larson came to the Ministry in 1987 as a student of Jimmy Swaggart Bible College. Since that time he has headed up the FWC Prison Ministry, the FWC Choir, the JSM music program, and now is operating in the role of President of Jimmy Swaggart Bible College. In addition to his responsibilities as a Professor and as an Associate Pastor of Family Worship Center, he is a consistent member of the panel of "The Message of the Cross," the teaching programs for both television and radio with Brother Jimmy Swaggart.